I love fall—the changing leaves, the cool evenings, the cozy sweaters I can start wearing again. As the temperature drops and the nights get chilly, what’s better than gathering family and friends around a warm fire pit? 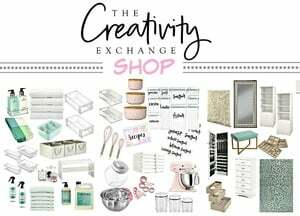 Today we’re sharing some beautiful and creative fire pit designs, plus several of our favorite DIY fire pit tutorials. 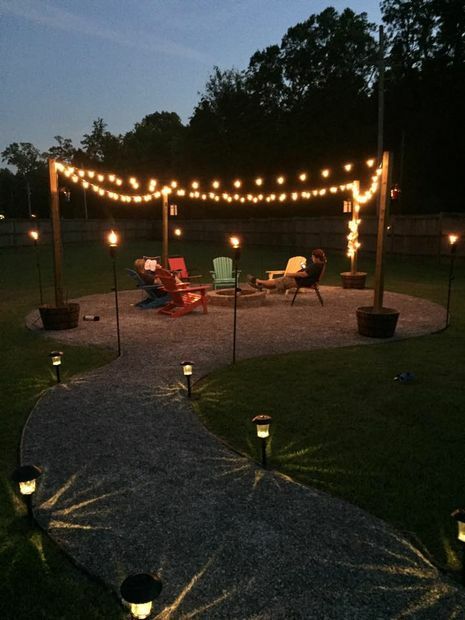 Adding a gravel surround to designate a fire pit area and adding several Adirondack chairs is an easy (and inexpensive way) way to create an instant serene outdoor seating area. 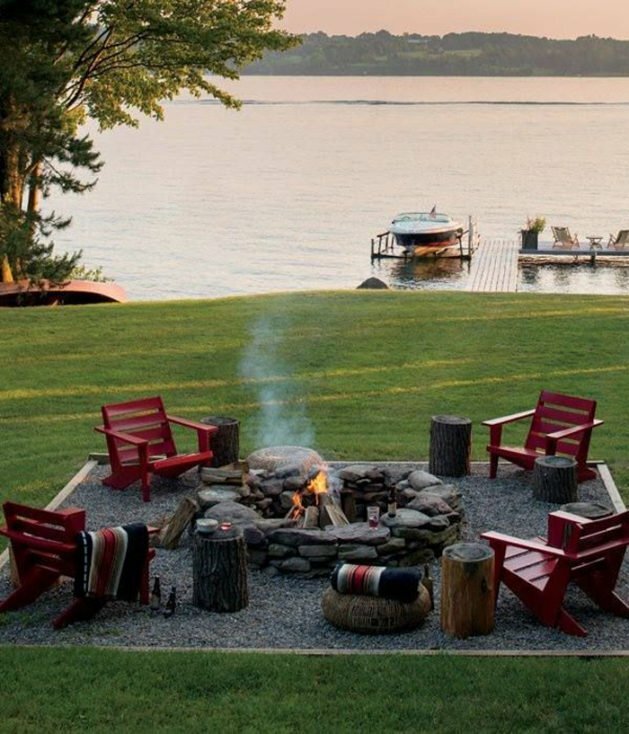 Enlarge the area around your fire pit with gravel held in place by lumber, add some chairs and tree stumps for tables, and enjoy the view. 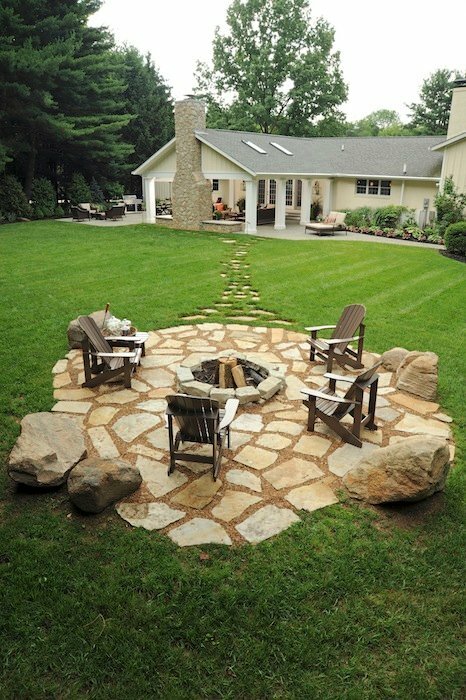 Large, flat stones like flagstone are another fairly inexpensive way to create a lovely patio area around your fire pit. 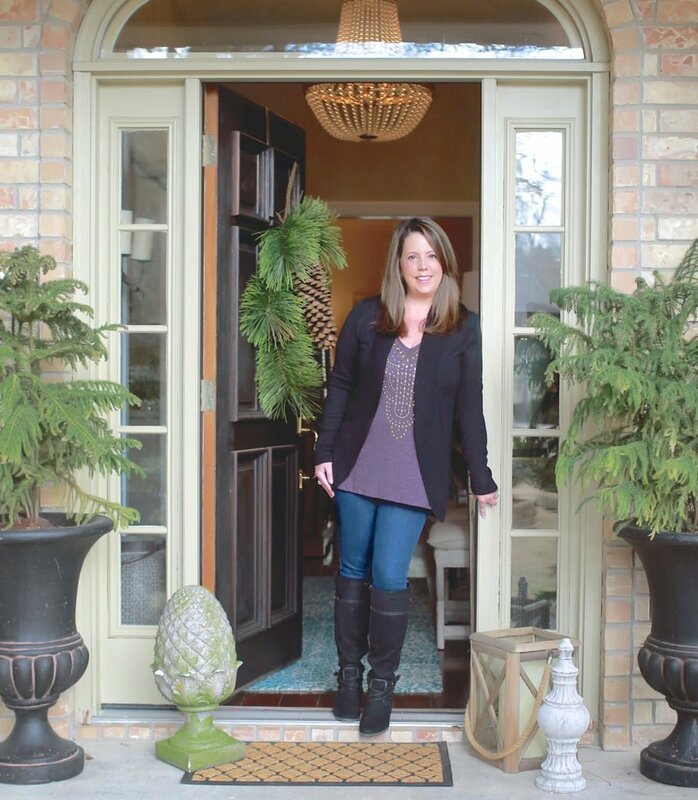 Tuck several in the grass to make a natural-looking sidewalk back inside. 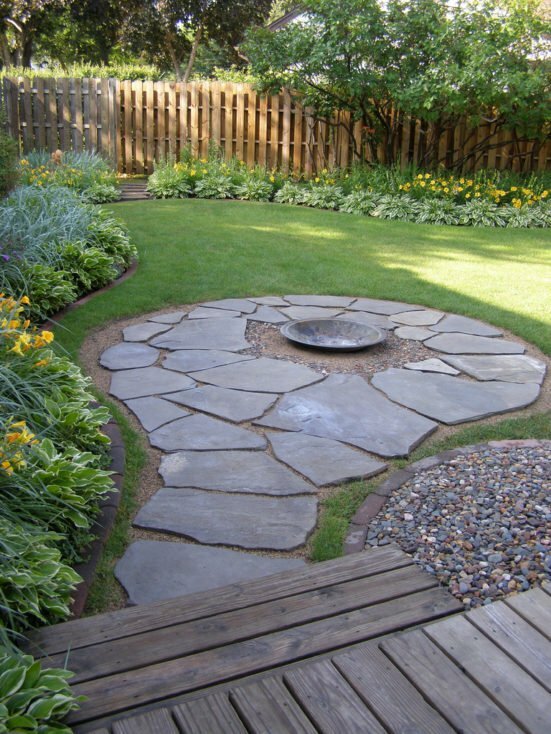 Recreate this gorgeous look with large flat stones such as flagstone, paver sand, and a steel fire pit bowl, which can double as a birdbath when not in use. 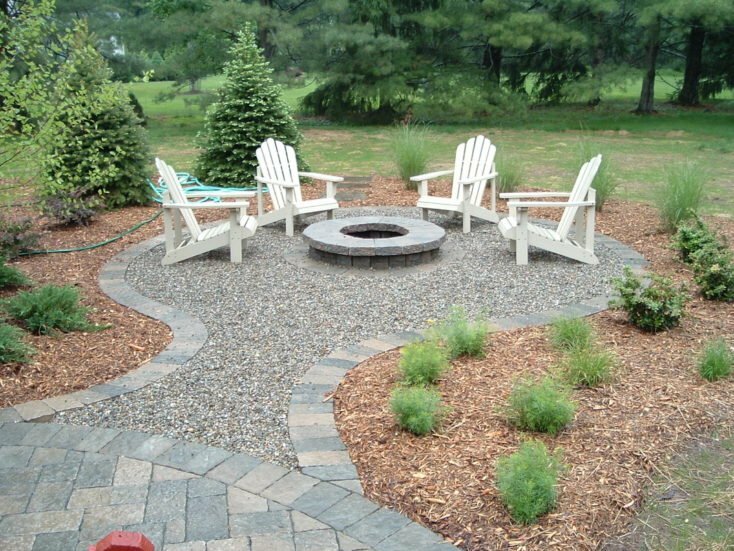 The height of this inviting fire pit plus the width of the cap stones make a cozy spot to gather and put up your feet for a while. 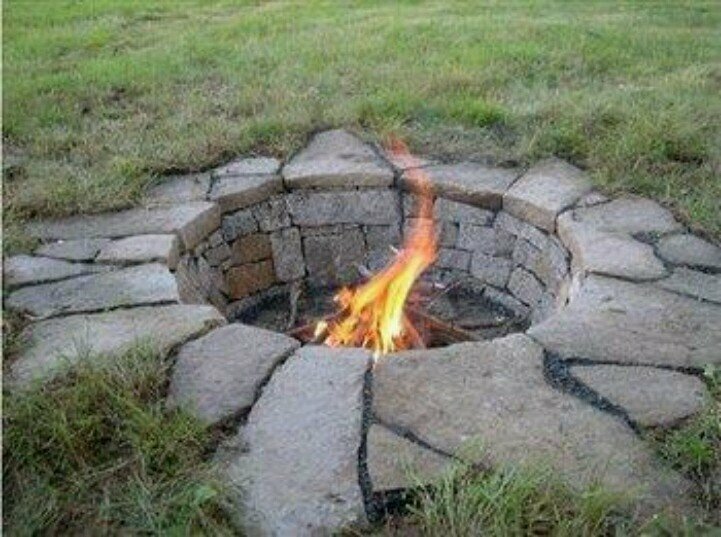 The design of these flat rocks makes this fire pit—which used to be a koi pond—look so pretty and organic. 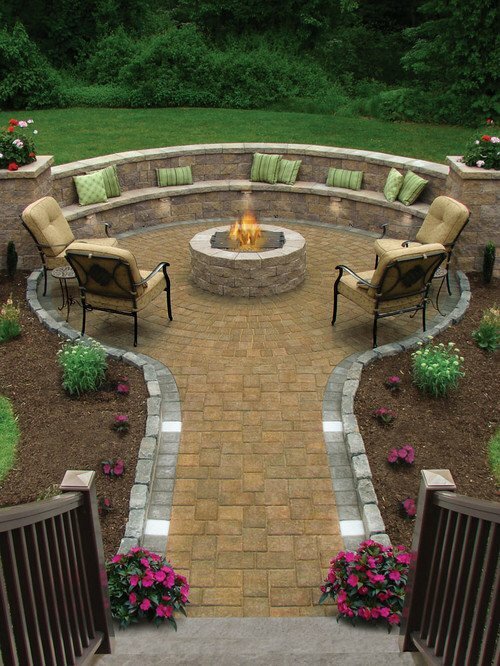 Creating dual purpose retaining wall and seating is a smart way to create a beautiful fire pit, while at the same time beautifully transitioning yard elevation issues. The beautiful design, the types and colors of stones, the pretty landscaping, and the seating options all combine to make this a relaxing retreat. 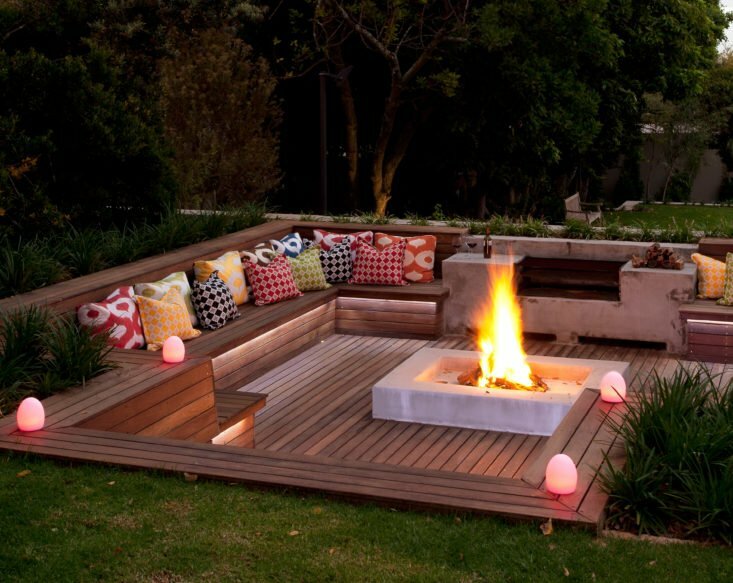 Imagine stepping down in this stunning sunken fire pit and enjoying a warming fire. The retaining wall provides two rows of seating. 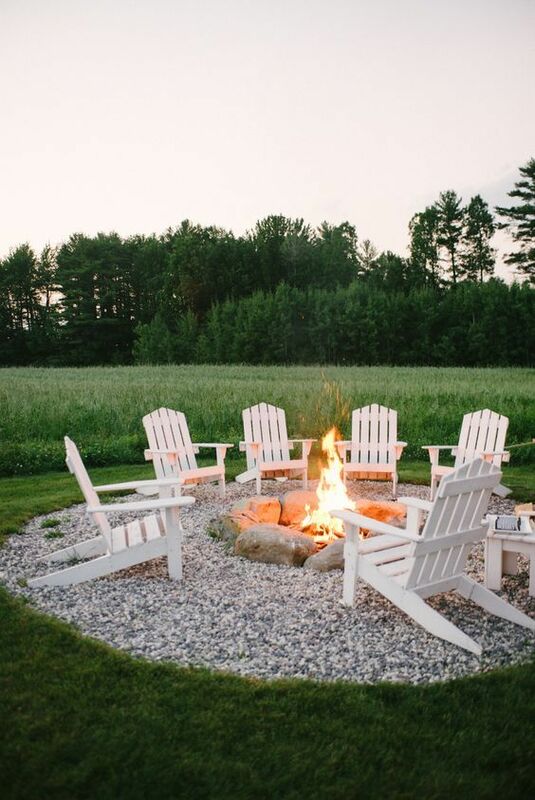 Fire pits don’t have to be circular. 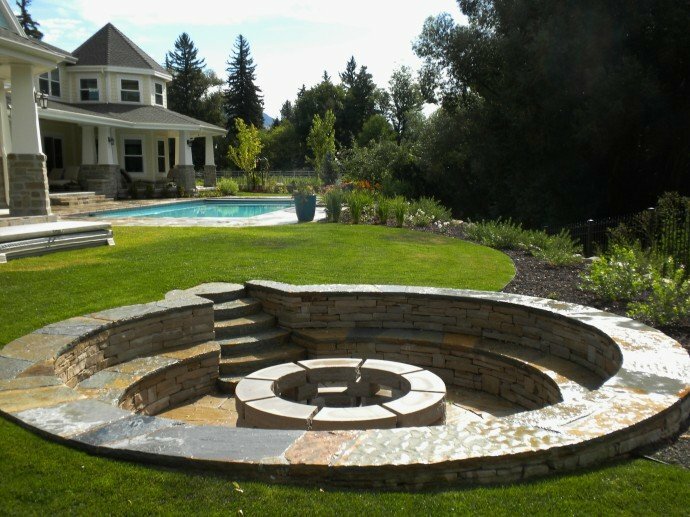 This spectacular square fire pit provides tons of seating, serves as a retaining wall in a gorgeous, spa like setting. Situating your fire pit in a hillside or even a slight rise gives you an opportunity to add a surrounding retaining wall bench. 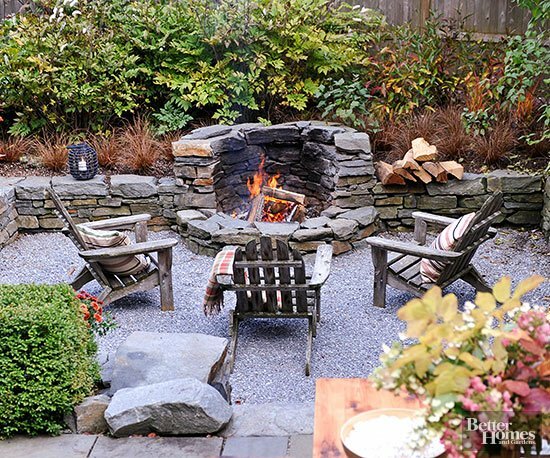 This sunken rustic fire pit area looks so warm and cozy—perfect for extra-chilly fall evenings. 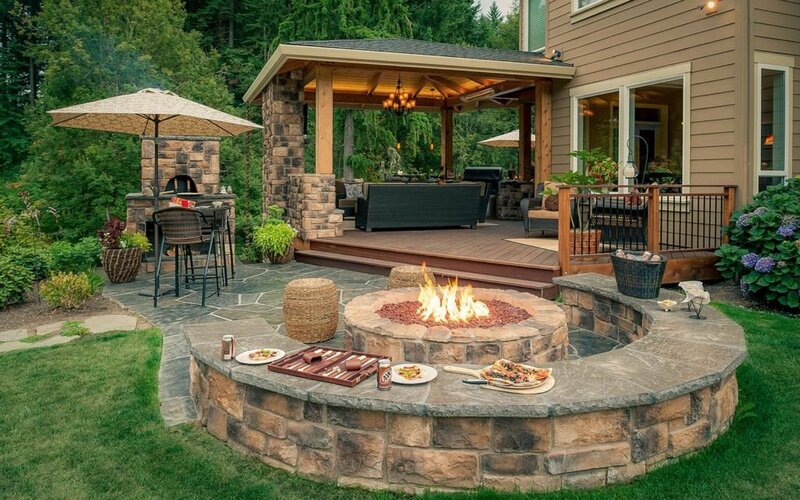 While this design below is not a retaining wall, it’s a free standing seating area and a welcoming fire pit with lots of surrounding seating, a pizza oven, a comfy outdoor living room, and more. 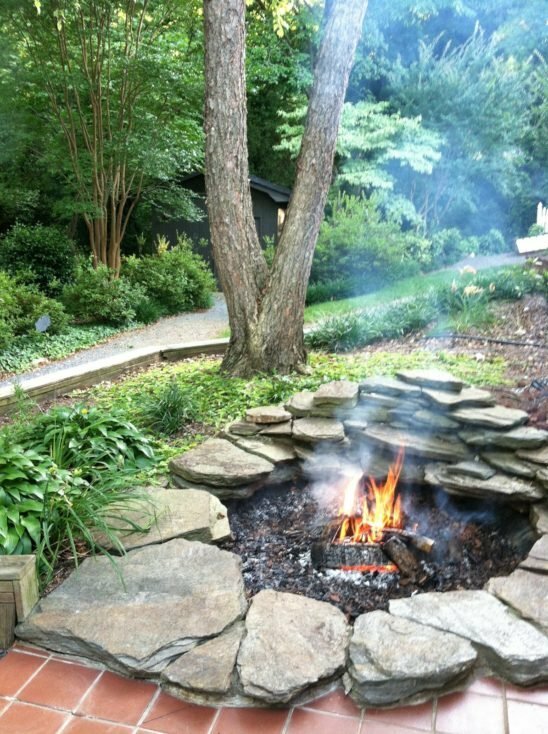 Large pieces of granite form the crown of this simple and natural-looking in-ground fire pit. 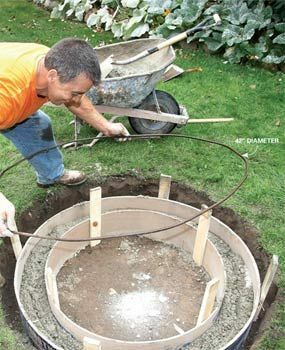 Here’s another great post on how to make your own fire pit—this time an in-ground fire pit that doesn’t require a ton of brick or other masonry pieces. 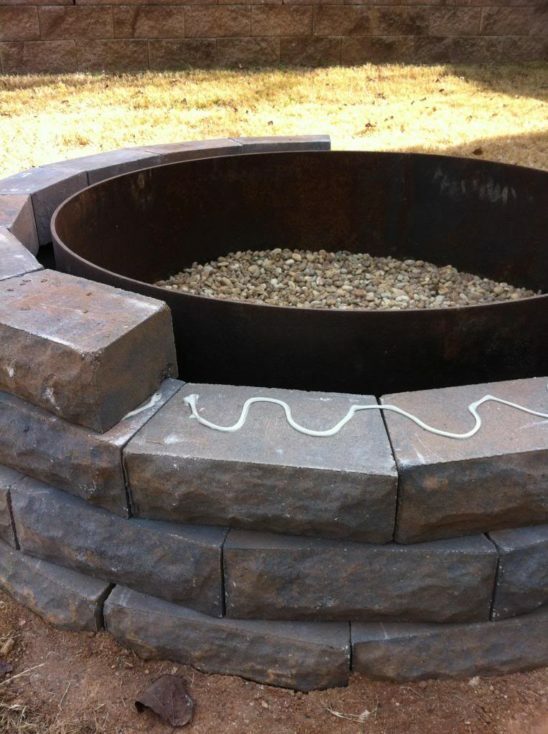 Whatever your style, skills, and budget, chances are you can create your own fire pit. 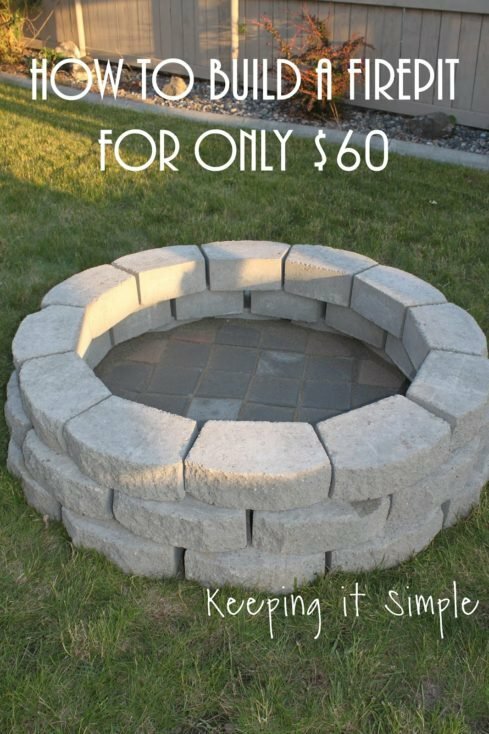 This tutorial shows you how to DIY a fire pit for just $60. To naturally ward off mosquitoes and other insects without the use of flammable bug sprays, add sage to your fire pit. 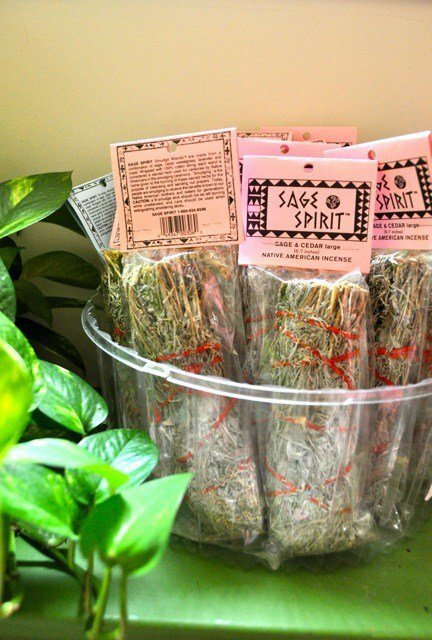 The sage also provides a lovely, natural, herby scent. 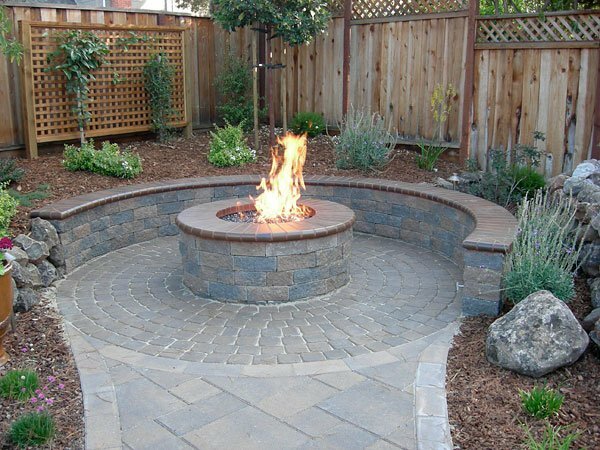 With a beautiful fire pit like one of these in your yard, you’ll welcome the cooler weather and look forward to heading outside to warm yourself around the open flame as often as you can! If you want to check out more creative outdoor fire pits, patios and outdoor kitchen, we shared our favorites on the blog here.